Hon. 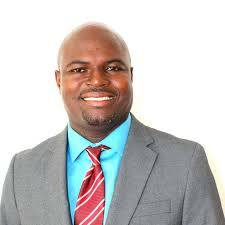 Member of Parliament Gregory Willock has tendered his resignation with the PDM Government. On Tuesday, Willock followed through on last week’s declaration that he would cross the floor (metaphorically leave the party) if the premier did not heed his request to fire the Hon. Minister of Health Delmaude Ryan. This is the second resignation from the governing party since they took office in September 2014. The first was Hon. MLA Dr Ingrid Buffonge, within the first four months in office. It was the response to Buffonge’s public request for Min Ryan to step down or be fired that catalysed Willock’s decision. Dr Buffonge said the island’s healthcare was in bad condition, citing the sudden departure of three medical doctors among other issues. The premier followed Buffonge’s statement by saying he stood behind his health minister. Willock then said he stood with Dr Buffonge and supported her call for the premier to fire Minister Ryan. He said he was willing to cross the floor and sit as an independent member of parliament if this was not done. Minister Ryan then responded in two radio interviews reiterating that she would not step down and to provide updates on some of the issues raised by Dr Buffonge. Willock said on ZJB Radio Montserrat that the PDM had lost its way because there is “no cohesion as a team and representing the cries of the people.” He also said to sit and be quiet makes him culpable. Willock’s letter addressed to the Hon. 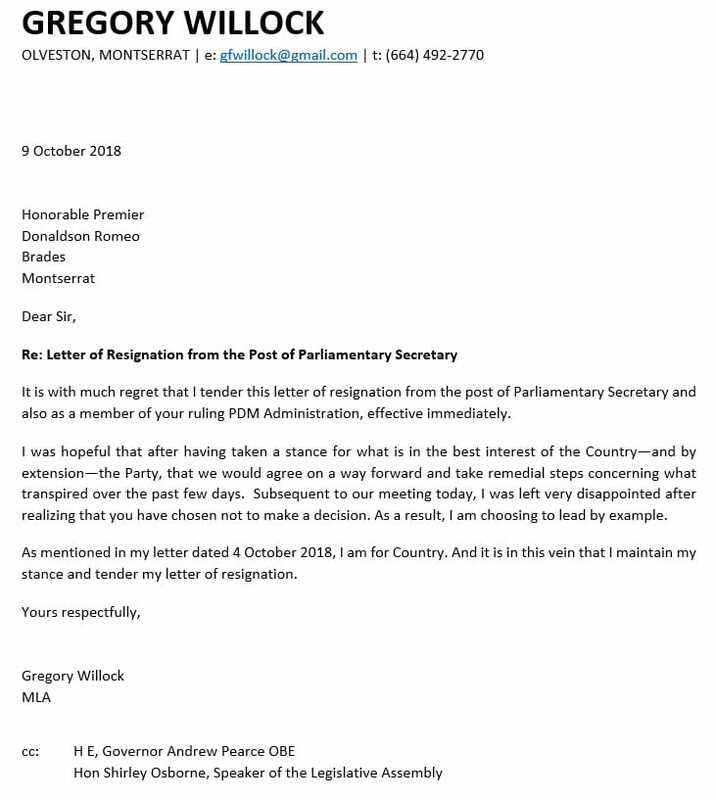 Premier Donaldson Romeo said: “It is with much regret that I tender this letter of resignation from the post of Parliamentary Secretary and also as a member of your ruling PDM Administration, effective immediately. “I was hopeful that after having taken a stance for what is in the best interest of the Country – and by extension – the Party, that we would agree on a way forward and take remedial steps concerning what transpired over the past few days. Subsequent to our meeting today, I was left very disappointed after realizing that you have chosen not to make a decision. As a result, I am choosing to lead by example. During his time as Parliamentary Secretary, Willock was responsible for Youth, Sports and Culture. He initiated the creation of a youth apprenticeship programme and pushed for government to invest more in culture and the national festivals. There has been increased rumblings and speculation now that the PDM Government has entered its last year in office. The scheduled Legislative Assembly on October 26, 2018 could bring additional changes.